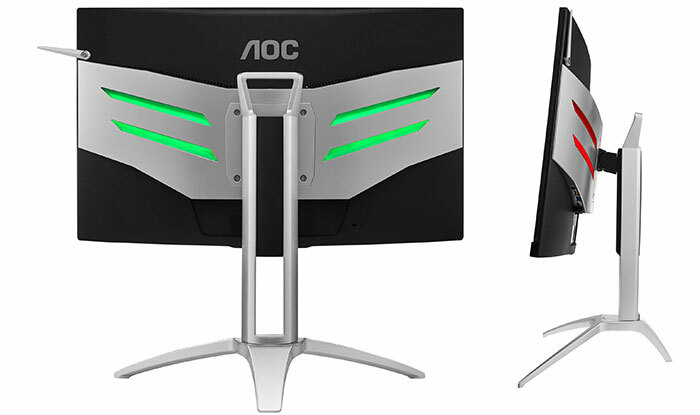 Monitor maker AOC has written to HEXUS with details about a refresh to its Agon AG272FCX gaming monitor. The new AOC Agon AG272FCX6 doesn't offer many changes, compared to its predecessor; nevertheless they may be attractive changes to many. The biggest change is of the maximum refresh rate capability, which is raised from 144Hz to 165Hz. Secondly the newer monitor comes with a more competitive suggested retail price of €349 / £299 (its predecessor was launched in late 2017 at £340). After reading the above you might be starting to warm towards the AOC Agon AG272FCX6. However, there are some key specs carried over from the original that might cool your ardour in 2019. Probably the most objectionable aspect to this 27-inch monitor for many will be its FHD screen resolution. Considering other aspects of the design, some people don't like curved monitors (this MVA panel packing screen has an 1800R curvature), and its max brightness is quite low at 250nits. There are plenty of positives to this monitor though, especially for gamers. In the intro we mentioned the 165Hz refresh rate, and there is Adaptive Sync support too. AOC's Agon AG272FCX6 also features; a flicker free DC backlight, AOC Shadow Control, low blue light mode, AOC Low Input Lag mode, AOC game modes with supplied quickswitch wired controller, a USB 3.0 hub, stereo speakers, a 3-sided frameless design with tri-colour LEDs on the back and lower bezels, a retractable headset holder, and the adjustable AOC Ergo Base stand (height, tilt, swivel adjustments). 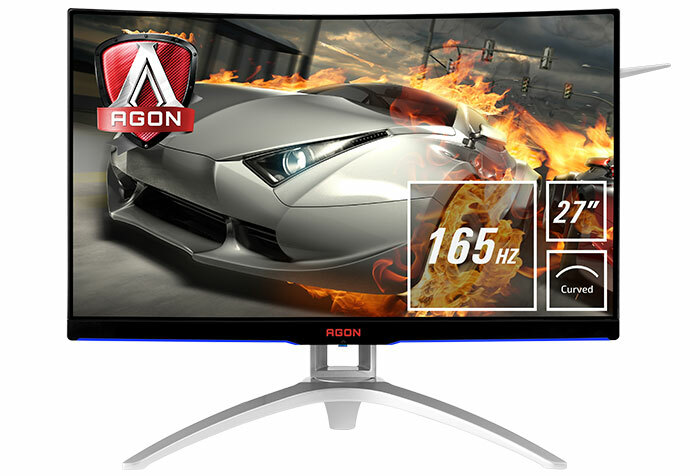 AOC told HEXUS that the new Agon AG272FCX6 gaming monitor will be available from April with an RRP of €349 / £299. I've included further important tech specs below.